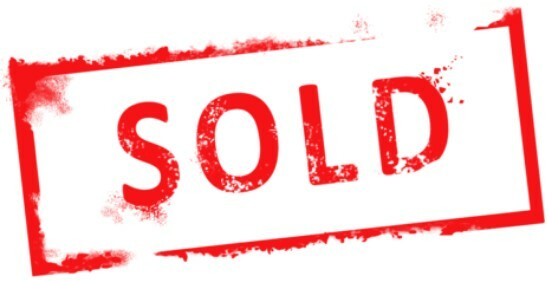 You can find our current stock of preowned and used containers below. Some of these have come from our demo equipment, some are hardly used, and some have been used in normal conditions. All equipment is factory inspected, and upgraded where necessary. When you find something you like, call or email for further details and information. DOM: 30 Mar 2010 Harness will fit a person approximately 5′ 3″ or smaller, 126 lbs or smaller. (160 cm/57 kg) A-Team Logo on ring cover. Condition Like New Less than 50 jumps. This Container fits a small person with small canopies. DOM: 21 Mar 2013 Harness will fit a person approximately 5′ 6″ to 5′ 8″, approximately 130 lbs. Condition Good less than 100 jumps. 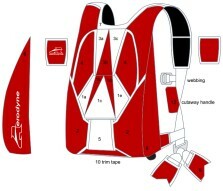 DOM: 01 Sept 2015 Harness will fit a person approximately 5′ 8″ to 5′ 10″, approximately 155 lbs. 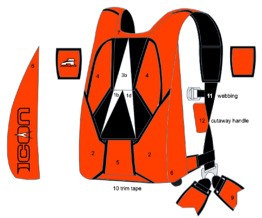 DOM: 10 Mar 2016 Harness will fit a person approximately 5′ 8″ to 5′ 10″, approximately 155 lbs. 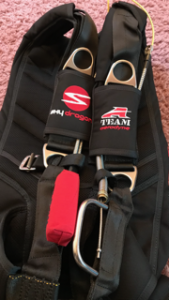 DOM: 2017 Harness will fit a person approximately 5′ 4″ to 5′ 6″, approximately 130 lbs. Dom: 07/25/17 Harness will fit a person approximately 5′ 8″ to 5′ 10″, approximately 180 lbs. 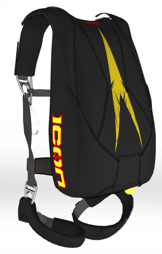 DOM: 2015 Harness will fit a person approximately 5′ 4″ to 5′ 6″, approximately 130 lbs. (165 cm/60 kg) This rig has been jumped a lot. Comes with new Risers, D-bag, And PC. 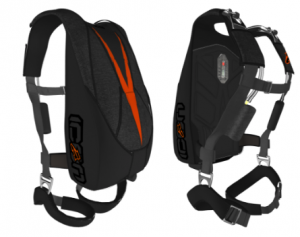 Dom: 2017 Harness will fit a person approximately 5′ 3″ or smaller, 126 lbs or smaller. DOM: 12/26/16 Harness will fit a person approximately 5′ 8″ to 5′ 10″, approximately 155 lbs. (173 cm/70 kg( Used over 1000 Jumps. 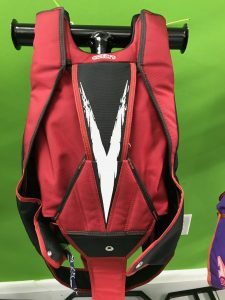 Harness will fit a person approximately 5′ 11″ to 6′ 2″, approximately 185 lbs. Dom: 07/19/15 Harness will fit a person approximately 6′ 2″ to 6′ 4″, approximately 185 lbs. 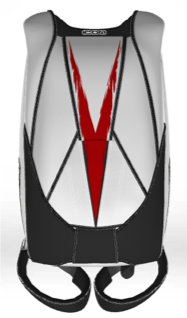 DOM: 2016 Harness will fit a person approximately 6′ 2″ to 6′ 4″, approximately 200+ lbs. 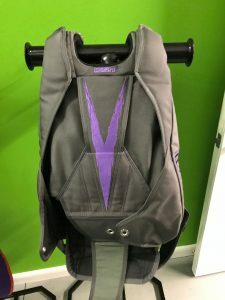 DOM:08/07/17 Harness will fit a person approximately 6′ 2″ to 6′ 4″, approximately 200+ lbs. 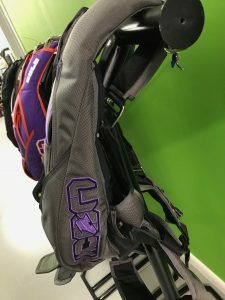 DOM: 11/2/17 Harness will fit a person approximately 5′ 4″ to 5′ 6″, approximately 140 lbs. DOM: 22 July 2015 Harness will fit a person approximately 5′ 11″ to 6′ 2″, approximately 180 lbs. Very Clean Rig You must love Orange. DOM: 10 Mar 2016 Harness will fit a person approximately 5′ 3″ or smaller, 130 lbs. 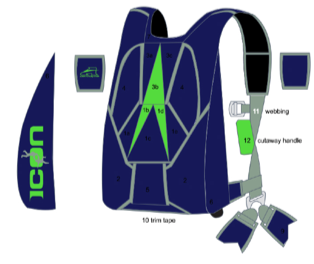 DOM: 09 June 2016 Harness will fit a person approximately 5′ 8″ to 5′ 10″, 130 lbs. DOM: 20 Nov 2012 Harness will fit a person approximately 6′ 2″ to 6′ 4″, approximately 180 lbs. Dom: 12/12/14 Harness will fit a person approximately 6′ 4″ to 6′ 6″, approximately 200 lbs. Dom: 7/26/13 Harness will fit a person approximately 5′ 11″ to 6′ 2″, approximately 200 lbs. (180 cm/91 kg) Christoph on left flap. 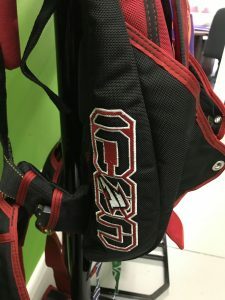 DOM: 4/20/18 Harness will fit a person approximately 5′ 3″ or smaller, 126 lbs or smaller. (160 cm/57 kg) New less than 10 jumps. 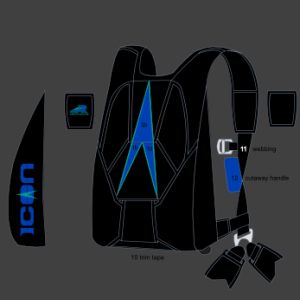 DOM: 20 May 2015 Harness will fit a person approximately 5′ 3″ or smaller, 140 lbs. 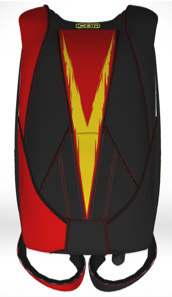 DOM: 6/30/15 Harness will fit a person approximately 6′ 4″ to 6′ 6″, approximately 200+ lbs. DOM: 01/15/16 Harness will fit a person approximately 6′ 2″ to 6′ 4″, approximately 170 lbs. 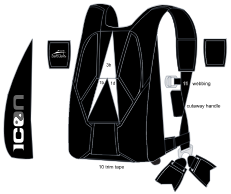 DOM: 1/20/16 Harness will fit a person approximately 5′ 6″ to 5′ 8″, approximately 130 lbs. less than 100 jumps. 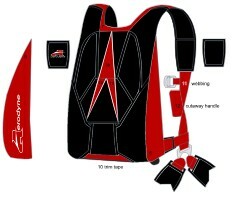 DOM: 08/17 Harness will fit a person approximately 5′ 11″ to 6′ 2″, approximately 160 lbs. DOM: 02 Feb 2017 Harness will fit a person approximately 5′ 6″ to 5′ 8″, approximately 200 lbs. 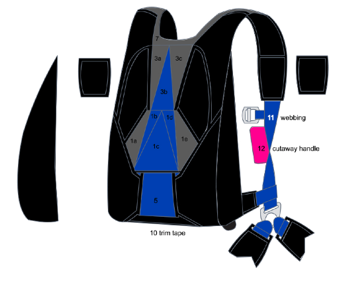 06/05/13 Harness will fit a person approximately 5′ 8″ to 5′ 10″, approximately 200 lbs. DOM: 23 May 2016 Harness will fit a person approximately 6′ 4″ to 6′ 6″, approximately 200+ lbs. 155 lbs. Like new Less than 50 jumps. 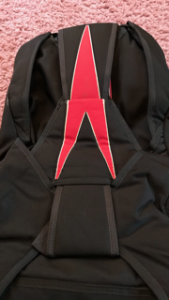 12/01/17 Harness will fit a person approximately 5′ 8″ to 5′ 10″, approximately 155 lbs. 10/10/15 Harness will fit a person approximately 69 inch tall. approximately 188 lbs. Made for Female.